I feel like I’ll be beating a dead horse here. So much has been said about building a strong company culture, yet so few companies succeed. When I read about other companies’ culture it’s a bit strange to hear about the “perks” of the company as if that’s actually the culture of a company. And I’ve heard one too many companies talk about their “great company culture” when all we’re told about is the perks. Let’s take a look at what is “Culture,” how do you build it, and how not to be like everybody else. If you don’t consciously and meticulously think about the culture you’re creating while you’re building your company, you will have a very hard time building a successful company. Not that it’s not possible, but the odds are highly against you. My take is slightly different. The reality is that if you have the first three items in the list (Vision/Mission, Values, and Practices), then the other three should fall into place. 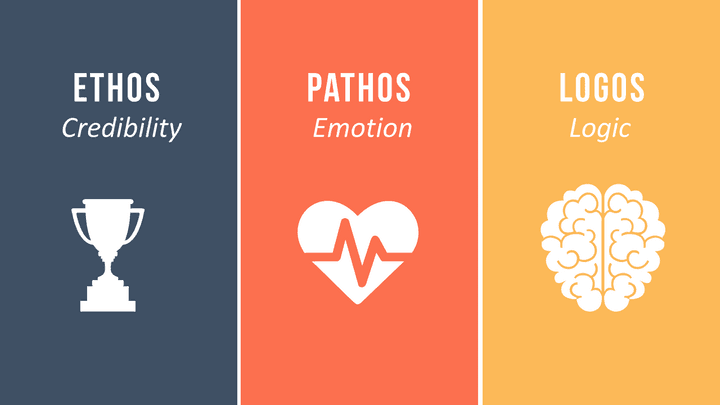 I guess you could say that these are your three pillars! Note that I’m considering Mission and Vision to represent a single pillar, while they’re two separate ideas. Exceptional Vision, Mission, Values, and Practices will allow you to attract exceptional people, to form a compelling narrative, and to build an exceptional place. There is also a feedback loop, where the people will also affect the Values and Practices. We didn’t agree on a single set of values. Our practices were whatever we inherited or picked up along the way. Turnover of talent, over the 3 years we existed, was high for a company of 10. The narrative was that of the founders, not the people within the company. The place we worked at was whatever we could scrap together. Don’t be like old me! I’m not just talking about your vision and mission statements. While the vision and mission statements are a great way to convey the vision/mission of a company with a short statement, everybody within the team needs to have a deep understanding of what they are. They need to be clear, concise, and most importantly- inspirational. It is the reason your company exists: it is the thing you’re trying to change in the world, it is your Ethos, Pathos, and Logos. Carefully think about them and craft them to truly represent how your company is changing the world. It will be the shining beacon that sets the stage for everything within your business. It will drive the way you market yourself, how you distinguish yourself when recruiting employees, how you approach your customers, how the public perceives you, and everything that follows. Companies with a strong vision and mission will have a much tighter focus. Think of your Vision and Mission as a black hole: everything that gets sucked into the black hole will accelerate towards a single point: the singularity! Everybody that gets “sucked into” your company should accelerate towards the singularity! This is the second pillar on which you’ll build your company. Values are your guiding principles, foundational beliefs, and core philosophy. Values define how you orient and conduct yourself in the world. Your decisions should be filtered through your values. When you engage with your clients, employees, prospective employees, and society in general, you will conduct those interactions with your core values in mind. Anybody that has worked in different companies will attest to the vast cultural difference that develops in the various companies. And not all cultures are the same, some are actually better than others. In those better cultures, employees are more satisfied, productive, and engaged. A couple of our team members came from a company in which the culture had developed in such a way that big egos were valued. Management regularly threw employees under the bus and belittled them when they spoke up about issues. It doesn’t take long before resentment builds up. The moment things got heated up, as it happens when you’re building a company which attempts to solve enormous challenges, people reach a breaking point and they quit. The company has 275 employees and has had a turnover of 200. So not only do you have to ensure you have the right values but you have to adhere to those values. One of the worst thing that can happen is to let people in the company subvert the culture and away from your core values. That leads me to the next pillar: Practices! Information Drip: nearly every company talks about openness and transparency, but practically none of them are truly that open or transparent. The information is usually limited to a handful of people, and the most mission-critical information is limited to the leadership. Most companies have come up with all sorts of justifications for this, which do sound reasonable on the surface. Altitude Haze: decisions are taken at the higher levels of the company and filtered down through the various layers of management. Coupled with the Information Drip, this often results in people feeling like the decision-making process is hazy. The decisions of leadership are frequently doubted, employees feel like the leadership doesn’t consider relevant information from the “front lines,” and when changes in direction are taken, people feel like the original decisions were bad. That leads to frustration over time. Talent Squash: undoubtedly, you’re trying to hire smart people in your company and they have exceptional talents which would greatly benefit the company if they’re fully utilized. If the information that reaches your employees is restricted, then naturally, management wouldn’t want to delegate important decisions to employees lower in the organizational structure. Not because they’re not smart people, but simply because they lack the necessary information to make important decisions. That underutilizes the talents of the people you’ve recruited, limits their learning potential, and causes resentment to build up. There is a great sense of empowerment with being given the ability to make important decisions and people take it seriously when they are given such responsibility. This structure is fairly rigid and it doesn’t really evolve over time. Your business and your product do evolve over time, so it’s strange that your organizational structure wouldn’t. 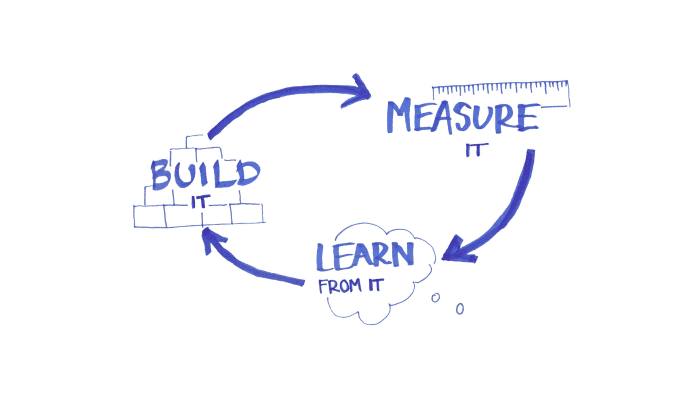 When you develop your practice, I strongly believe that you take the Lean Startup approach: Build → Measure → Learn. Your company is going to evolve over time, so should your practices. At ST6 we have regular organizational meetings in which we devise organizational experiments (build), we monitor the results of these experiments (measure), and we make adjustments based on the results (learn). Our experiments have led us down an interesting path: flattening the organizational structure. Note that I don’t mean that adopting a flatter organizational structure would eliminate the hierarchy. Even a flat organizational structure is a form of hierarchy. But I’ll save this topic for another blog post!